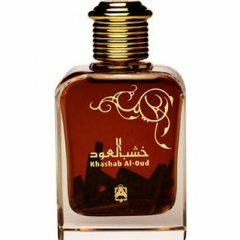 Khashab Al-Oud is a perfume by Abdul Samad Al Qurashi for women and men. The release year is unknown. The scent is woody-oriental. It is still in production. Khasab Al Oud by ASQ is a truly unique pure Oud-based perfume made with the finest Aged Agarwood and other natural ingredients. One of Best Oud Blends Perfumes, This is a Classic Arabian Gem of Perfume which blends Ancient Culture with Modern and it is perfect for Daytime wear and Office environments. The fragrance winds down into a Beautiful and Sweet and Aged & Pure Oud and Sandalwood base. V similar to ASQ's Dahn Al Aoud Ateequ which is strong compared Kashab Al-Oud has lower concentration of Oud and thus may be more wearable for those who have had limited prior experience with perfumes containing pure Oud. Still, Kashab's Oud is real, which will yield a far different wearing experience from the Western mainstream "Oud" perfumes which contain little if any pure Oud. In fact, inside every bottle of Kashab Al Aoud are several Agarwood pieces to remind you that this is the Real "Stuff". Smells Exotic Luxury & Sweet. My Rating is 4.5 out of 5. Write the first Review for Khashab Al-Oud!